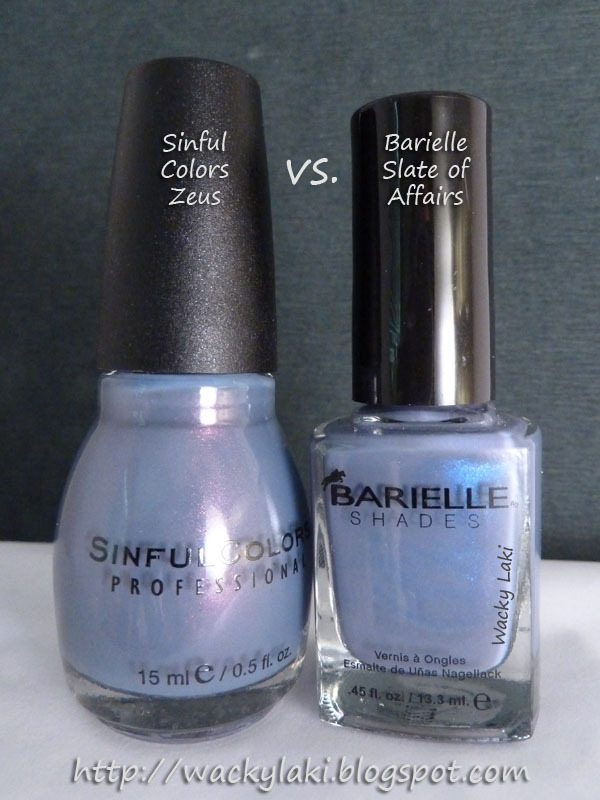 I just wanted to show you a quick comparison of Sinful Colors Zeus and Barielle Slate of Affairs*. I have yet to do a full swatch or manicure with Zeus, however you can see a full swatch of Slate of Affairs in yesterday's post here. Hey! I actually really like the 2 of these together as a manicure because they are similar enough not to notice until you get close and then it would really make you look or wonder if your eyes were playing tricks. Thanks for the comparison I like both. Thank you so much for the comparison!! I have both in my wish list, but I never thought they were that close. I decided to cross one out, but can't define which, they are both so pretty!